CK Business Consultants, Inc. John Zayac - CK Business Consultants, Inc.
Mr. Zayac founded International Business Group, Ltd. in 1986 to provide mid-market business sellers the high-quality resources and sophisticated service traditionally reserved for firms valued over $100 million. Since inception, John built this firm into the merger & acquisition industry’s most comprehensive provider of acquisition advisory services for mid-market business sellers. John Zayac founded International Business Group, Ltd. in 1986 to provide the mid-market business seller the high-quality resources and sophisticated service traditionally reserved for firms valued over $100 million. Since inception, John built this firm into the merger & acquisition industry’s most comprehensive provider of acquisition advisory services for mid-market business sellers. His oversight of handling each client from start to finish built a record of success as a business intermediary including hundreds of completed transactions in manufacturing, distribution, and service industries. In addition to founding IBG, John Zayac has owned and operated a spectrum of businesses including a printing company, an automobile importing agency and a chain of car washes. According to Professional Car Washing Magazine, his is the 10th largest chain self-service car wash locations in the U.S. John is a court-appointed expert in business evaluations and transactions. He is a nationally recognized speaker on The Sale of Privately-Held, Mid-Market Firms. His personal business philosophy is mindful: Most business owners only sell a firm once in a life time, capitalizing on this opportunity requires experience, resources and knowledge to ensure nothing is left to chance. 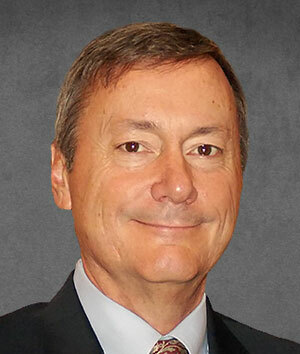 A native of Binghamton, New York, John has resided in Colorado since 1982. He is actively involved in many industry associations and civic organizations. John is a competitive race pilot in the T-6 Racing Association, most recently placing 2nd in the 2010 T-6 Gold Class National Championship Air Races in Reno, NV.